This year I’m sewing along with Amy Gibson from Stitchery Dickory Dock. 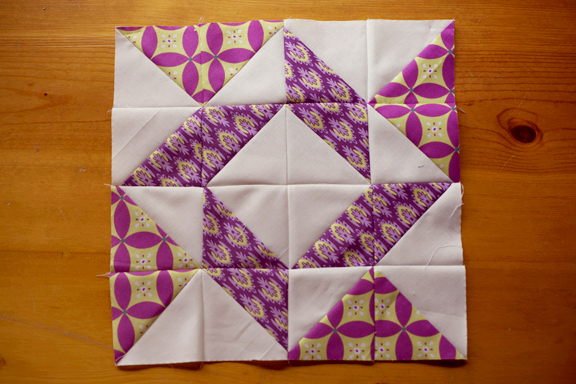 A bunch of other talented seamsters and I have joined up to make a quilt using Craftsy’s 2012 Block of the Month class. Here’s a reflection on my efforts to sew well. 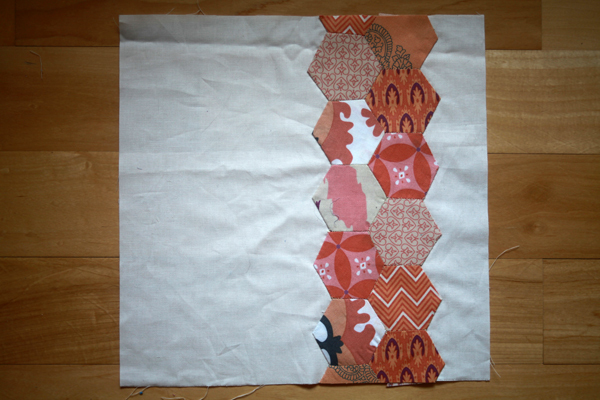 …and one square where the strips were just sewn onto each other. 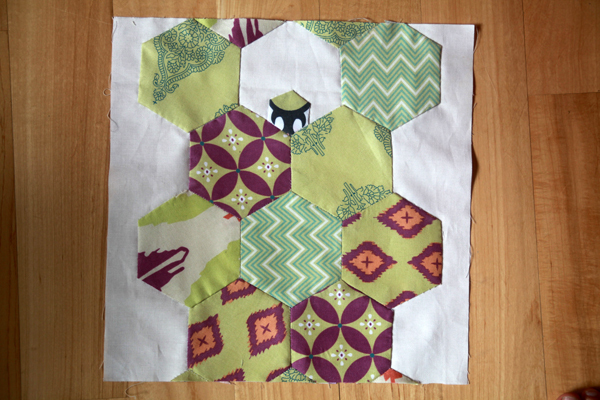 …and then broke off and did my own thing on the second square with a single 3/4″ and lots of 2″ hexagons. …and what was supposed to be a wonky five-sided log cabin but seems to have developed into a super wonky many-sided log cabin. 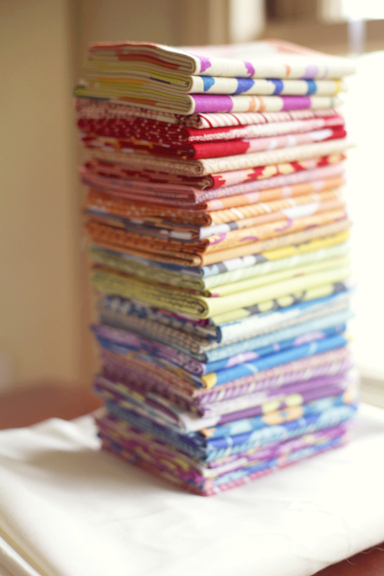 Together with the January and February blocks I’ve already made, I now have half of the blocks for my quilt top. If my excitement over quilting continues, then my hope will be to finish the remaining ten squares for this quilt and then start on the second, fabric-should-arrive-any-day-now quilt top. That way I’ll have two quilt tops ready, one for a girl and one for a boy, before the little one arrives. Considering that it’s taken me a year to make half the squares for my first quilt, I wouldn’t recommend holding your breath in anticipation of my achieving that goal. That said, I am a very goal-oriented person, so who knows?! Maybe I’ll be able to pull it off! I love your blocks. Very inventive! You’ll probably feel more motivated now that it’s all really happening! The blocks you’ve made so far are beautiful! 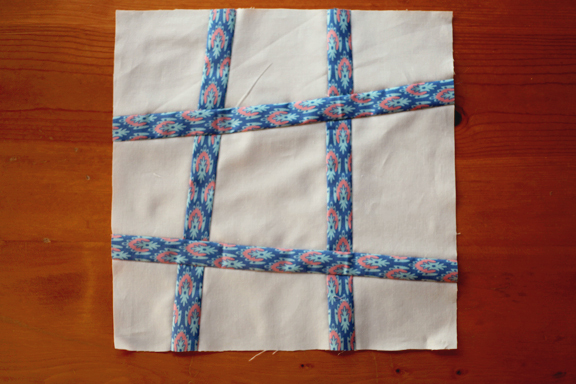 I am so impressed, very nice quilting . 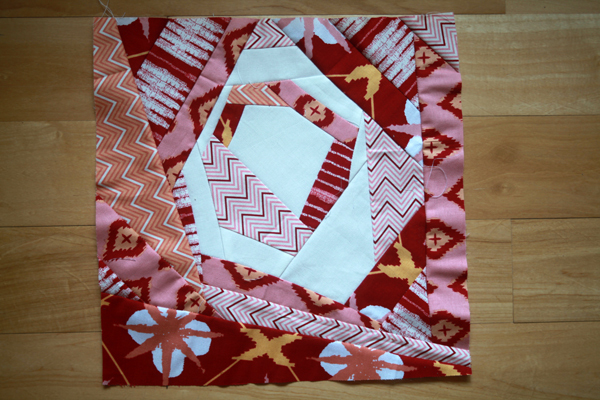 I look forward to seeing the finished quilt. Definitely love your color/pattern choices! I also signed up for the 2012 (and maybe even 2013) Block of the Month on Craftsy, but I have a “bigger” quilt to work on right now. Maybe in 2014 😛 Also, this is a good kick in the pants to get me going on my unborn niece’s quilt. No idea when my sis-in-law is due, so I better get on that soonish! 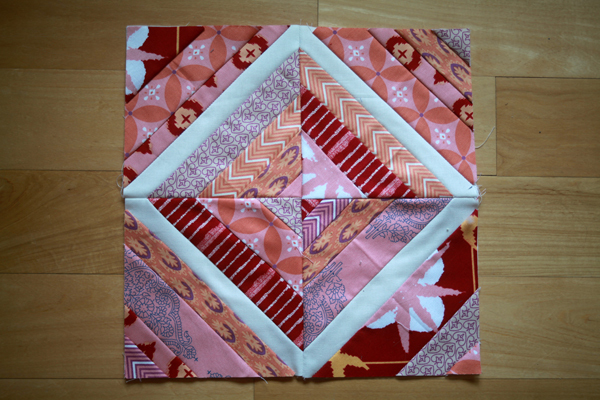 I love your blocks… The fabric choices are beautiful! Funny how your ideas change over time. Amy’s BOM was my first quilt, I started and finished it this year, too. 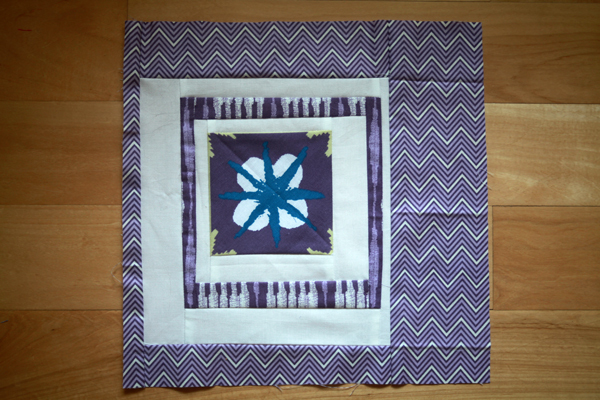 I ponied up for Leah Day’s FMQ a Sampler class and quilted my blocks along with her once they were all done. 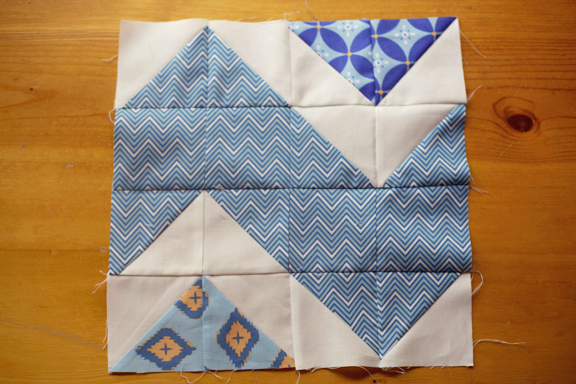 I’d highly recommend it- after making the blocks I feel like I can handle any piecing I want to do, and after quilting them I feel like I can FMQ anything! 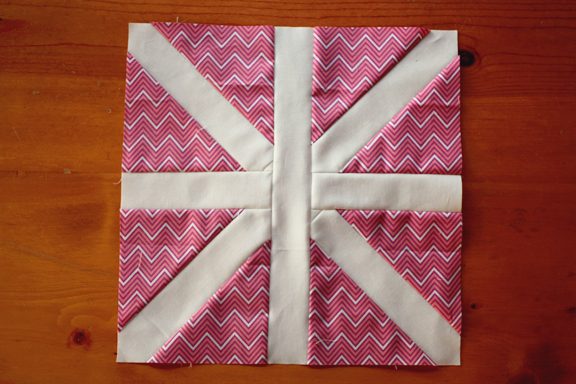 I feel so lucky to live in a time when, between Craftsy and blogs like yours, all the inspiration and instruction I need to be a pretty good hobby sewist/quilter are available in my home and on my schedule. 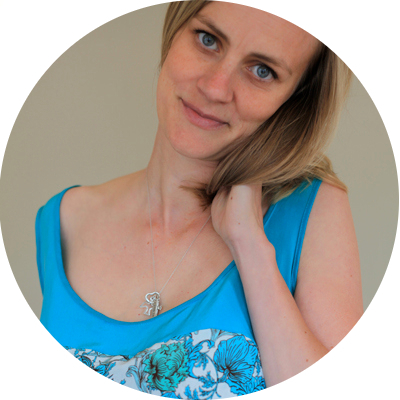 I’m definitely thinking about the Linda Maynard class after reading your ongoing reviews of the class. Thanks, as always, for sharing. These are so cool! I love your fabric choices! Great job on the quilt blocks. 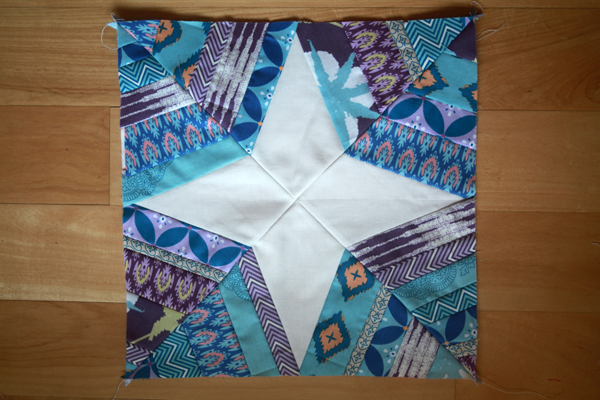 It almost makes me want to try piecing again! (Almost, but not quite!) I admire your workmanship. I like the fabric choices, but from what I’ve seen, I think this could go either for a boy or girl.